An SSL certificate ensures safe, easy, and convenient Internet browsing and shopping. 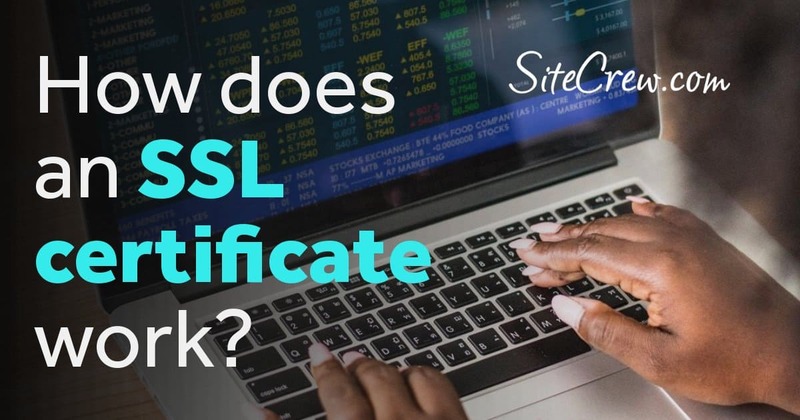 Once an Internet user enters a secure area — by entering credit card information, email address, or other personal data, for example — the website's SSL certificate enables the browser and Web server to build a secure, encrypted connection. The SSL “handshake” process, which establishes the secure session, takes place discreetly behind the scene without interrupting the consumer's shopping and/or browsing experience. A “padlock” icon in the browser's status bar and the “https://” prefix in the URL are the visible indications of a secure session in progress. By contrast, if a user attempts to submit personal information to an unsecured website (i.e., a site that is not protected with a valid SSL certificate), the browser's built-in security mechanism triggers a warning to the user, reminding him/her that the site is not secure and that sensitive data might be intercepted by third parties. Faced with such a warning, most Internet users will likely look elsewhere to conduct business or make a purchase. If your site doesn't use SSL, please contact us. We'd be happy to help you secure your site! https://thesitecrew.com/wp-content/uploads/2018/08/SSL-certificate.jpg 630 1200 admin /wp-content/uploads/2015/09/logo-large-e1443277888385.png admin2018-08-28 21:43:172018-08-28 21:43:39How does an SSL certificate work?